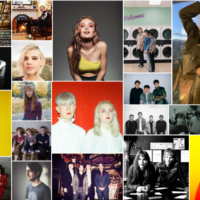 The Matinee ’18 December 7th edition is a whirlwind global tour of new music. From Australia, England and the Americas to Scandinavia, this playlist sparkles and shines more than your holiday decorations. 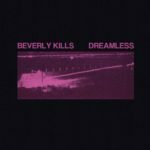 Not long ago we said Beverly Kills could be Sweden’s next great band when they released “Melodrama”. This may have been a premature proclamation since, along with “Fourteen”, the quartet had only a few singles to their credit. Well, after three songs, it’s a bit safer to be bullish about their prospects. Their third single, “Dreamless”, is a rapturous delight. It charms with the bubbling infectious quality of Swedish greats Amason and dazzles with the intoxicating dream-pop of Alvvays. You’ll sway and smile because this song is pure bliss. It reminds us in these cold and dark days what summer was like – when we “dreamed of me and you” and those unforgettable moments. But everything must come to a bittersweet end; for Alma it makes her not want to dream again. However, for us, we’ll be dreaming of what Alma, Viggo, John, and Hampus can do in 2019. It’s been quite a long time since we’ve heard new music from Broken Bells, the powerhouse duo of James Mercer (The Shins) and Brian Burton (Danger Mouse). There last release was a one off single back in 2015. There have been a string of photos from recording sessions and teaser tweets on their twitter and IG account hinting to new music and a new album. We are finally graced with their newest single, “Shelter”. “Shelter” is out today on Amazon and iTunes via 30th Century Records. Once again Chain Wallet channel their dream-pop/shoegaze influences while sounding thoroughly modern. This band excels by blending past and present to create the unique sound. 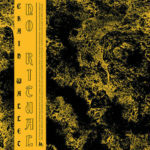 “No Ritual” gets an added boost by the addition of guest singer Chiara Cavallari (of psych-shoegaze band FOAMMM). Her ethereal backing vocals make this already stunning tune soar. Close your eyes as Chain Wallet elevates your senses and guides you to a place of bliss. No Ritual arrives February 15 from Jansen Records. 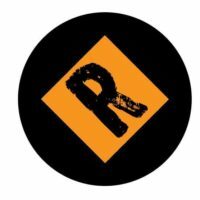 Pre-orders are available from these streaming and purchase links. If you can’t wait that long, you can get this single now from iTunes. Most people know that Australia is known for its psychedelic music, whether it’s the zany rock of King Gizzard and the Lizard Wizard or the disco-pop of Tame Impala. The country also features some of the world’s best electronic outfits, many of whom either write their own lyrics or actively engage other artists to tell stories over top their superb arrangements. For Matthew Haymes and Matt Van Schie, who are Du Tonc, they focus on creating the music while enlisting songwriters like NYC-based Vania to do the storytelling. 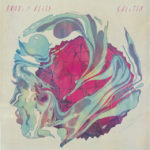 It’s a formula that helped Maribou State shoot up indie ladders, and the duo and Vania should similarly find success, especially if they continue to create songs like “In My Mind”. The track will sweep you off your feet with its widescreen, dazzling ’80s approach. It is the soundtrack for a 2AM drive, providing an injection of adrenaline when we need it most. 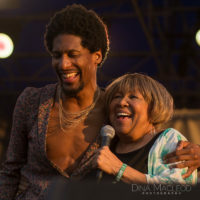 To call this an electronic track understates the duo’s talent, particularly when hearing the throbbing bass line, the chiming guitars, and the urgent percussion. These dark tones provide the perfect backdrop to Vania’s introspective lyrics of being trapped in her own mind. And this song will forever be etched in your mind. Du Tonc’s debut album is expected in the first half of 2019. Vania features prominently in it, so it should be something else. 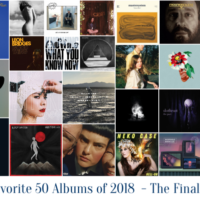 All three are artists to watch in the new year. If the world was a fair place, everyone would know and love Grandchildren as much as we do. The Philadelphia-based indie folk-pop duo of Aleks Martray and Shari Bolar has released four albums in the last eight years, with another due in February. So why aren’t they household names yet? One spin of “Zuni” from their forthcoming self-titled LP proves this band is ready for the big time. Be warned, though: you will lose count of how many times you smile throughout the song’s three-plus minutes. The vibrant tones are the result of crisp string work and percussion paired with rich vocals. The tones here have a cozy intimacy that evokes both Guster and Birds of Chicago. 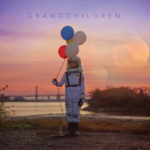 Grandchildren straddle that genre line between folk-pop and Americana in a way that makes their sound hard to classify and even harder to resist. Hopefully this band will appear on many U.S. festival lineups for next summer. Their organic sound would fit perfectly at places like Newport Folk Fest, Hardly Strictly Bluegrass, and Pickathon. Their album is due February 1 via Ernest Jenning Record Co. with pre-orders from the label and Bandcamp. 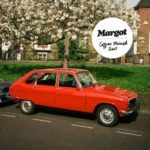 Margot have just released a new track titled “Coffee Stained Scars”. The single is inspired by Greta Gerwig’s coming of age film, Lady Bird where the mother character’s drive between work and home is the only time she isn’t serving someone else, a time for contemplation. The track is dreamy and laid back with tender vocals from Alex Hannaway and a constant stream of euphoric harmonies that can immediately relax your current mood. It’s the perfect single to spin on a long road trip or even on and upcoming cold winter evening, where you need to feel a little warmth. “Coffee Stained Scars” is the first in a series of 3 tracks tackling mental health as a topic, each through the eyes/mouth of a different character created by vocalist Alex Hannaway. Margot are comprised of Alex Hannaway (vocals), Ben Andrewes (drums), Rob Fenner (guitar, keys), Albi Cleghorn (guitar), and Michael Webb (bass). Pauline de Tarragon is simply one of the most clever musicians around. 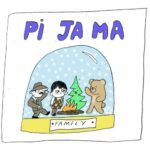 While she’s still making a name for herself and has yet to release a full-length album (that will change soon, however), she’s proven time and time again as Pi Ja Ma that few can match her gift of bringing together the theatrical, groovy and hallucinating vibes, and poignant storytelling and turning them into one mood-altering experience. If you’re late to the party, then let “Family” be your gateway into her spellbinding world. Multiple emotions swirl within “Family”. Musically, it swirls with a hazy, trippy vibe that builds into a bubbly alt-pop dazzler. Beneath the surface, however, desperation, anxiety, and even fear linger, and these feelings are accentuated by de Tarragon’s tepid vocals. Her words validate this gripping, slightly eerie, cinematic soundscape, which would fit perfectly in one of Wes Anderson’s opaque film-noir movies. As more proof of her talent, check out the theatrical video for the song here. de Tarragon’s debut album, Nice to Meet U, is out January 18th, and pre-orders and pre-saves are available here. “Saturday Night” is a carefree and energetic alt pop track that is dance ready with crisp vocals by Mark Brusegard and a full bodied anthem ready sound. The cadence is also perfect for your cardio playlist at the gym or while going for a nice morning jog. 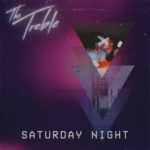 The Treble have recently released two new singles this year which will lead up to their sophomore album hopefully sometime next year. “Saturday Night” is out on Cadence Music Group. The band consists of Mark Brusegard (vocals), Colin McTavish (piano), Graeme Woods (guitar), Pat Hansen (bass), and Dana Jerlo (drums). Four years since their Blind and Brave debut, The Wild Reeds still know how to wow us. Those four years have turned this talented indie group into a show-stopping, jaw-dropping ensemble with a sophisticated, polished sound. 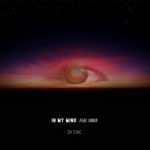 Their signature harmonies are still present on new single “Lose My Mind” though the production work elevates their sound to new heights. This is the product of a festival headliner, not a lower-tier opener. As fans of this band, we are grateful for their frequent output. They just shared a three-track EP, New Ways to Die, back in September, so we were hopeful a full-length would soon follow. 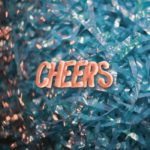 Today we can share their forthcoming third LP, CHEERS, arrives in March! 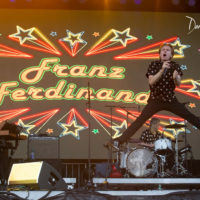 The cool, confident swagger of “Lose My Mind” has us ready to see them play our favorite festivals again next summer. CHEERS is due March 4 on Dualtone Records. You can pre-order it from Bandcamp, the label’s online store, or these other outlets. The Wild Reeds are: Kinsey Lee Sharon Silva, Mackenzie Howe, Nick Phakpiseth, and Nick Jones.